Werever Outdoor Cabinets have been featured on DIY Network and HGTV’s Kitchen Crashers TV show again. Hosted by Alison Victoria and designed by Damon Lang of Green Planet Landscaping, this project is a must-see. It features a beautiful cabana with “his” and “hers” seating areas. A one-of-a-kind tailgate bench made from a real truck tailgate, and of course, some beautiful outdoor cabinetry by Werever. 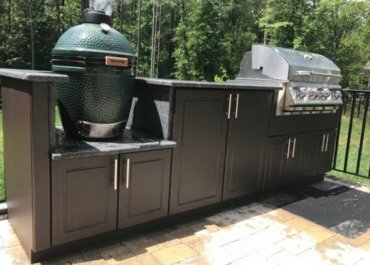 One area features an L-Shaped outdoor kitchen with a built in gas grill, Big Green Egg smoker, comfortable seating, an umbrella, and plenty of storage in our weatherproof cabinets. The other area is a complete outdoor bar which is a wonderful oasis in the hot Las Vegas sun. 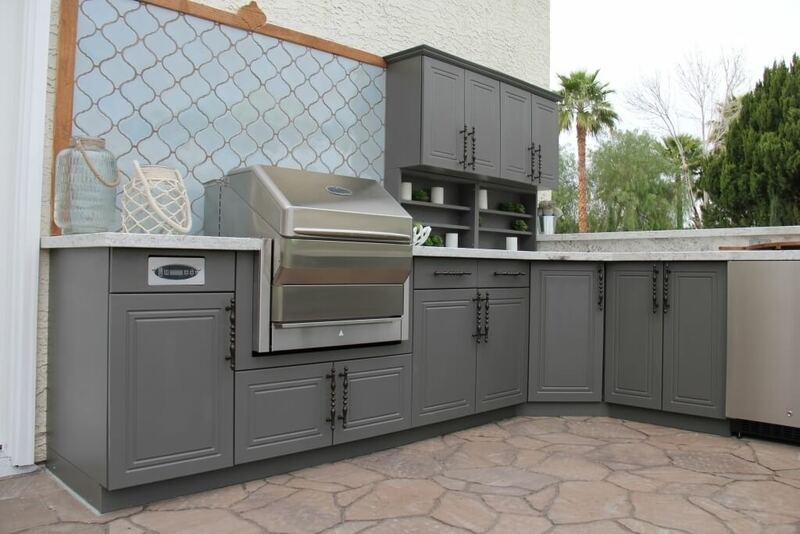 The outdoor bar features beautiful wall cabinets trimmed with crown moulding, a keg machine, a refrigerator, a cocktail station, and some great storage. Look for episode DKCR-801H “Vegas Cabana Kitchen” on both DIY Network and HGTV’s schedule. Contact us today if you’d like help planning your own Kitchen Crashers style outdoor kitchen. See more Kitchen Crashers episode pictures here.